Shot in 1968, one year after the Summer of Love, LAST SUMMER WON'T HAPPEN is a critical yet sympathetic examination of the anti-war movement in New York City. The film traces the development of a group of activists on the Lower East Side. We see their growth from isolated, alienated individuals to a politically empowered community. 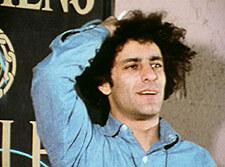 Filmed between the protests at the Pentagon and the demonstrations at the Democratic Convention in Chicago, it includes portraits of Abbie Hoffman, editor Paul Krassner, folksinger Phil Ochs and anarchist Tom "Osha" Neumann.